Learn to carve stone using traditional tools and techniques. Victor leads regular letter-cutting and stone-carving courses at his workshop just outside the village of Ahakista on the Sheep’s Head peninsula in West Cork. 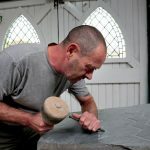 In this beautiful setting, you’ll have the chance to work on developing traditional stonework skills under his tuition. Stonework students include crafters, people interested in developing a career as stonemasons, and contractors who would like to develop their stone restoration skills. Stone-carving courses are held throughout the year, and they are tailored to the skills and needs of the people who sign up to attend. Please get in touch to arrange a course at a time that suits you, and is tailored to your requirements. Details of sample courses are included below. In this workshop, Victor will introduce you to the tools and basic techniques you’ll need to cut classical and contemporary letters in stone. Tools and materials will be provided, and you’ll work to complete a small letter-carving project which you can take home with you. Tea, coffee and biscuits are included. You will need to bring appropriate clothes, strong footwear, and a packed lunch. This workshop is aimed at beginners who would like to develop stone-carving skills for use on a range or projects. 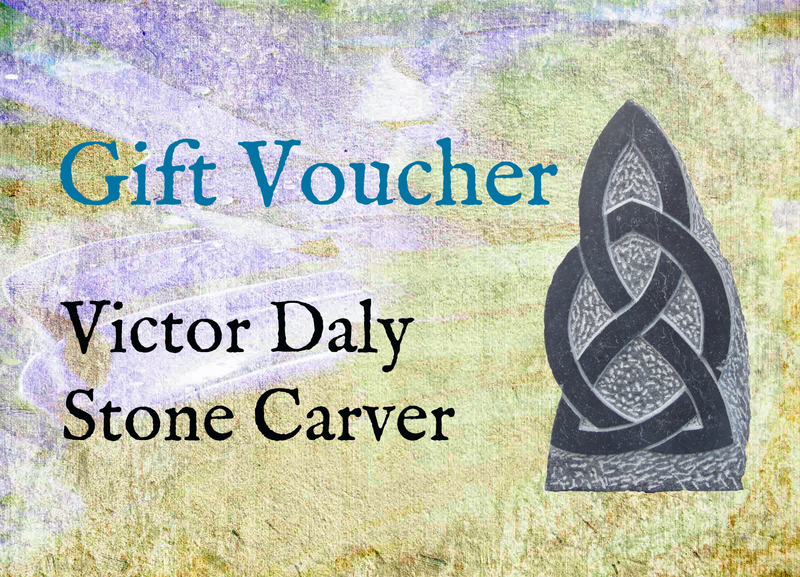 Victor will introduce you to the use of stone moulds, the use and care of key tools, as well as to some of the key techniques which form the foundation for a stonemason’s craft. You will put your skills to use on a small project, and you’ll be able to take this home with you. 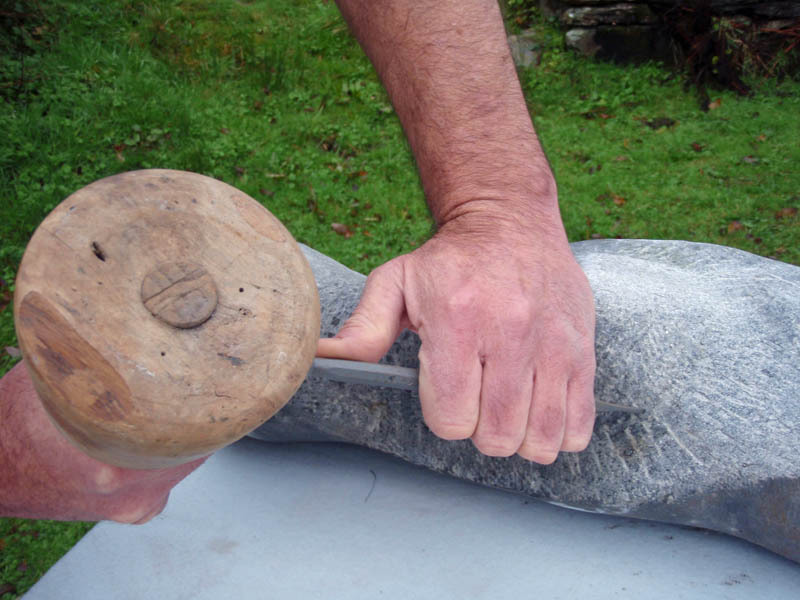 The next stone-carving courses Victor will offer will be at the West Cork Stone Symposium (22-24 March 2019). Tickets can be bought <a href=”https://westcorkstonesymposium.com/”>here</a>. Call 086 051 4116 or use the contact form here to enquire about availability.